What's your name? "Faith". What's my name? "Omuzungu"
This little girl doesn't really want to talk to me. She wants to stare at me. As I cast my eyes around the group of puzzled looking nursery children, she stands out. A small stream of snot running constantly from her nose, sleepy looking eyes and a little hooded top underneath her sweater. 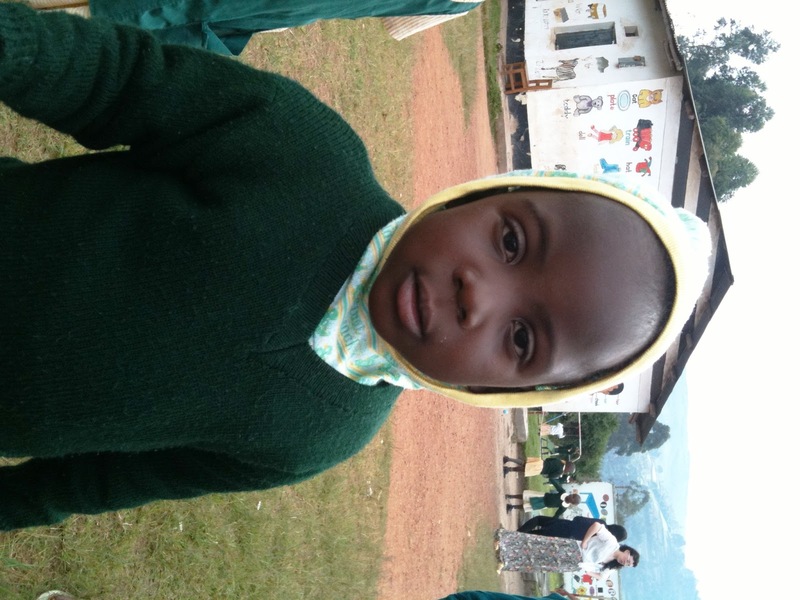 It is Tuesday 12th April and I've taken a small group of my students down to the Wise Parents Day Nursery in Kabale. The weather is a little muggy and a small girl is staring up at me expectantly. Out of all of the children, she seems the least inclined to want to run about the yard at the nursery chasing footballs. She also seems completely uninterested in going on the see-saw, the swings or even talking. All she wants to do is follow me around. So, without a word, she grabs my index finder in her tiny hand and holds it as I walk around checking on my students. At one point I ask her what her name is. She whispers, "Faith". I then ask her whether she knows my name. She whispers with an expression of embarrassment, "omuzungu". Oh well. I'm used to that now. Awkwardness aside, Faith is contented to just be my miniature assistant and violently swats away the boys who try to get me involved in playing football in the style of stampede of buffalo - she very possessive already! As I take a seat on the grass, she sits next to me. I stop and wonder about the children and their experiences away from the nursery. These innocent little beings don't see and understand the realities of life in the same manner as their high school counterparts, so what hardship, if any, does their youthful ignorance hide? Perhaps everything is fine at home. Perhaps it is not. They're lucky that that they even have a nursery to go to. Either way, it seems rude to ask the teachers and the kids don't understand kizungu yet. In the meantime, let the children play. I suppose it is our duty to protect the children as best we can, but most importantly to let them continue to be children until they're ready to grow up.